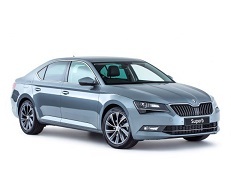 Correct Wheel Sizes, PCD, Offset, Rims and Tire specs for Skoda Superb series. 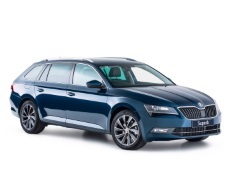 My 2011 Skoda Superb Estate takes 225/45 R17 tyres with a 94 load rating. Not on the list of options here, but it's one of the OEM sizes. Hi,Cormac.Yes.It is one of OE sizes. 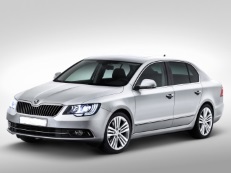 TDI170 Elegance spec cars have 225/40/18 tyres as standard. The L&K spec have similar/the same. Hi, Matt! Thanks for your message, we have updated data. Hi there, you have misinformation about vehicle types. You should change 3U and 3T. 3U is oldest type of Superb. Not the second. 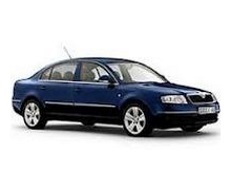 The Skoda Superb 3U, 1.9TDI 2007, original alloy wheels were called Metan and were R16 7J ET37 and not ET45 as advertised by your website. The tyres are 205/55/R16 and another option. The HP for those are also different - 77kW, 85 and 96 kW. 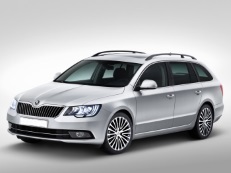 Can I put in 205/55 R16 size wheels and tyres to the Skoda Superb Combi 2.0TDI DSG Elegance 2012 car? Hi,Peter Kadar,what your current tire size?I can help you confirm it. Hi,Peter Kadar,These tires are compatible.For rims,You can also compare it with your current wheels.If both bolt pattern and offset is same,you can also try it.